Congratulations! You’re the proud owner of a brand new, shiny Mac. Now it’s time to set it up so that it’s secure before you start filling it with all sorts of fun documents, music, and kooky pictures of cats. Here’s a helpful guide on how to set up your new computer so that it’s secure and ready for use. This is one of the options presented to you when you first start the setup wizard for OS X. If you didn’t do this as part of the install process, you can start up the Migration Assistant by going into Finder, into the Applications folder, and opening Utilities. This will give you the option to transfer files from another computer (connected by wire or the network) or from a Time Machine backup. 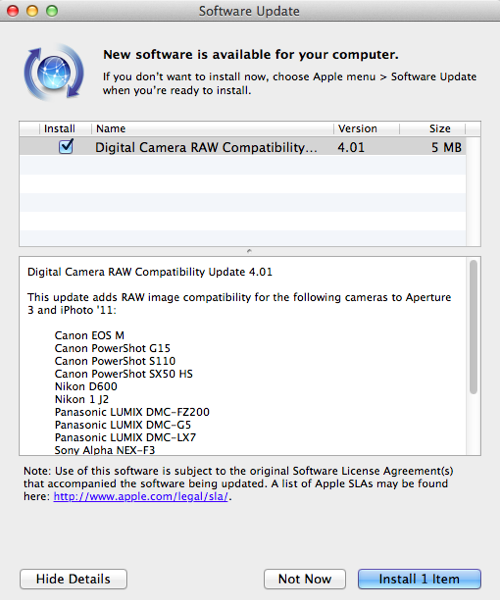 To start this up, click the Apple logo, go into System Preferences, and then select Software Update. Here you'll find options for setting up automatic updates, which you’ll want to set up. You can also check for updates immediately, which you should do ASAP. 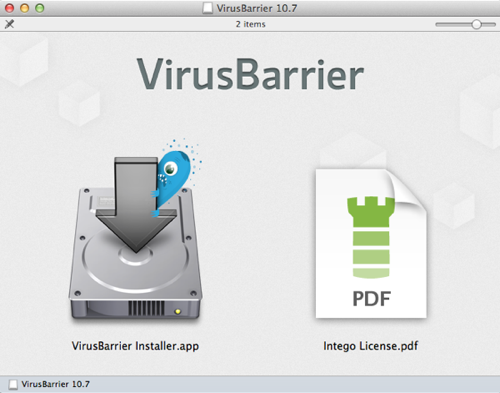 Yes, Macs get malware, so you should invest in some anti-virus software to protect the stuff you’ll be housing on your computer. 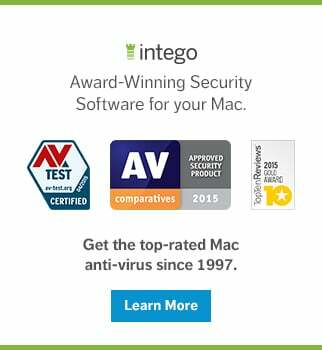 (We’re betting you already know which Mac anti-virus software we recommend.) It's a good idea to get anti-malware and a firewall, as a layered defense will protect you much more effectively than any one layer by itself. 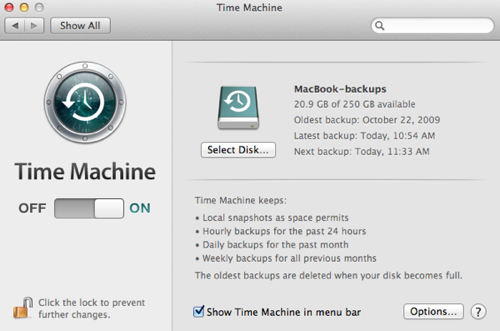 By starting your Time Machine backups fairly early in your setup process, you can have a very basic snapshot to return to in case something goes wrong. Create another one at the end of your setup if everything goes well, and you'll be able to return to a good, homey baseline whatever happens. Don't forget to encrypt it with FileVault for extra peace of mind. Some folks use Syncing as a sort of backup, but its main purpose is to keep a copy in the Cloud of any files you might want to access from other computers or OSes. There are a number of different options, depending on what you’re aiming to do. Dropbox is one very popular option. If you would like something more security-oriented, there are a few different options. 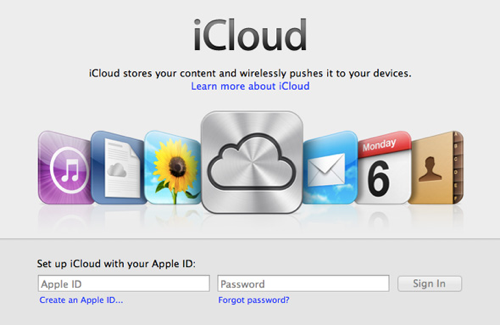 Apple has iCloud well integrated into the OS if you're swayed by Apple-land convenience. Evernote can also be an excellent option, depending on what types of files you wish to sync. The best backup is one that you have in multiple locations. 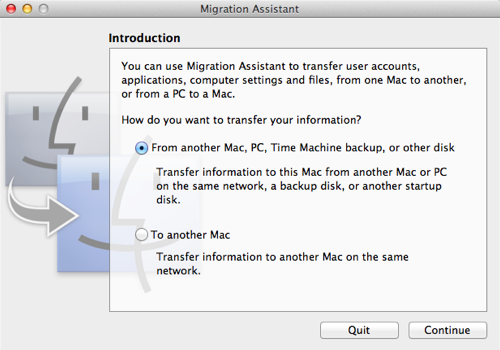 Syncing can be part of a good backup strategy, as can using Time Machine to restore your OS to an earlier state. But it’s also important to be sure you have another copy of important data (or a clone of your whole system) on an external hard drive where you can store your important files. Intego Personal Backup schedules automatic backups for quick and easy recovery from unfortunate incidents like theft, data corruption, or natural disasters. 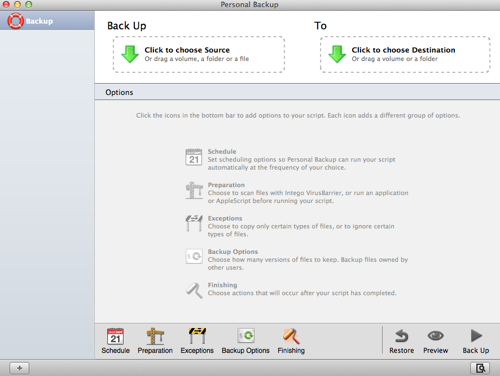 You can synchronize files between two Macs so that each machine has the latest, most updated files, as well as create a bootable backup in case you're having system problems and can’t access your files. Choose and install an app to help you locate your laptop should it ever go missing. We listed a number of Apple device tracker apps on our blog, but there are a bunch of additional options for you to try. Here’s another "just in case": If something ever happens to your admin account, this could cause you a whole lot of headaches. Create a backup admin account to save yourself some possible pain. 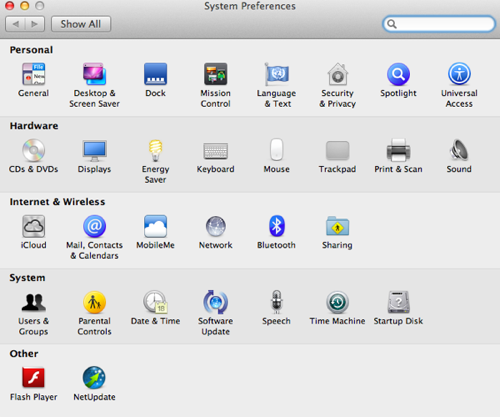 Click the Apple logo and go to System Preferences. Under the Systems group, choose Users and Groups. Click the + in the bottom left. In the window that comes up, you’ll need to switch the New Account type to Admin. There is a key icon beside the Password text box; selecting it will provide you with a password evaluator that will help you choose a strong password. If you use the password hint, remember that it should be a memorable yet sneaky hint, not just the password itself. This can be useful if you have a houseguest or friend you’d like to temporarily allow access to your laptop but not allow them access to all your files. It can also be part of a strategy to protect your data in case your laptop is ever stolen. 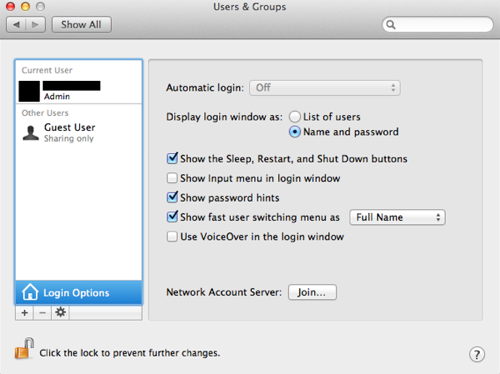 While you’re in the Users & Groups area creating your backup Admin account, click the Guest User account and choose to enable it, and disable access to shared folders. The default Guest account wipes anything in the Guest Users’ home folder when you log out. If you want to create a guest account that allows some sort of longer-term storage, you will need to create a new account. This is much the same process as creating a new Admin account, but you will probably want to choose a Standard or Managed account type. 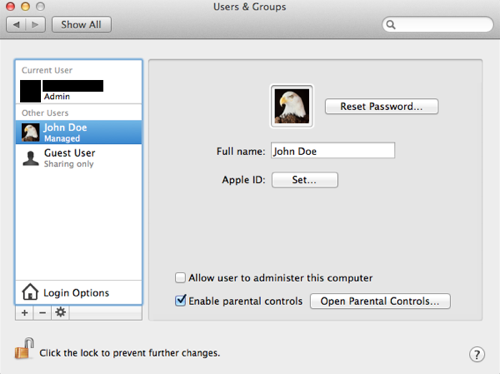 Once you’ve got this set up, you can go into System Preferences under the Apple menu and choose Parental Controls from the System group. 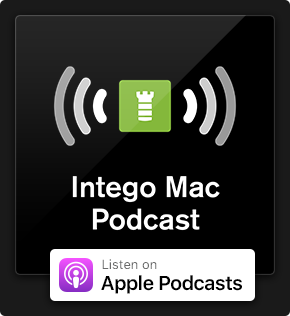 There you can disable app installing, limit websites, establish time limits, limit contacts in Mail and iChat, and limit printer administration, among other things. This is just a little bit of extra added security – in order to login, you can set an option that requires both the username and password, instead of choosing the username from a list. While you’re in the Users and Groups menu, click the Login Options. Set the Display Login Window as Name and password. There are really a ton of things you can change about how the system behaves. We all have our own preferences so you may wish to experiment a bit. They’re all located under System Preferences under the Apple Menu. If you want to modify the way a particular app behaves, the preferences menus are all conveniently located under the application menu at the top of the screen, which you access by clicking the app name. One more specific item to make sure you hit while you're in the System Preferences menu! 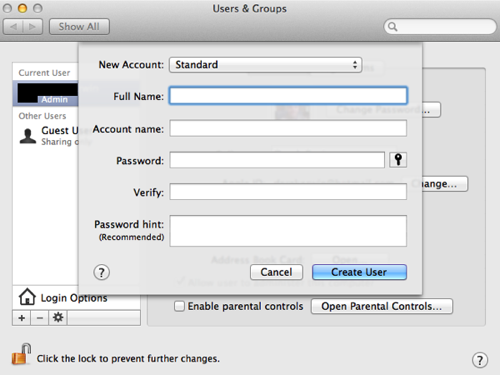 Under the Personal group, click Security & Privacy and then move to the Privacy tab. There you can disable location services. You can re-enable them on a per-app basis. 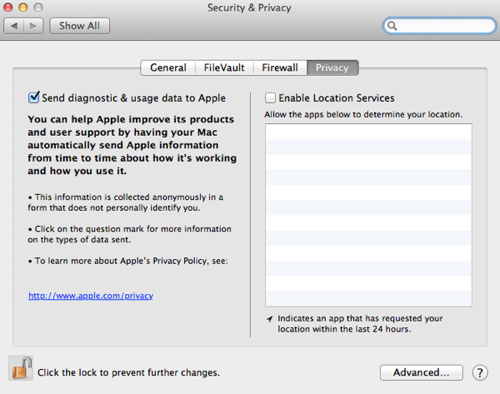 This entry was posted in How To, Recommended and tagged layered security, Mac, OS X. Bookmark the permalink. One of the best resources for those making the switch is free: go to apple.com/[name of your closest store] (example: apple.com/baystreet/ for the store in Emeryville CA) and scroll down to the schedule of events and workshops in the store. Register for one of their free workshops in an area you’d like to learn. If you’re brand-new to the Mac, you might consider buying One to One, their paid training option: $99 for a year of personalized training on any Apple product. It includes a data transfer from your old Windows or Mac machine to your new Mac.